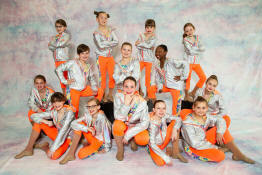 Monday - Wednesday - Thursday 7:15 p.m.
For over 50 years the Diana Lynn School of Dance has been shaping the lives of children and adults by teaching the art and creativity the world of dance has to offer. Classes are available in ballet, tap, jazz, hip hop and pointe for beginner through advanced students, ages 3 through adults. We offer affordable classes for all ages. Our entire staff is made up of teachers who are college graduates as well as certified members of Dance Masters of America. We do not charge by the month! When you pay for an 8-week session you receive 8 weeks of class! Just 1 block South of Compton Rd. and Hamilton Ave.